Want you party to stand out? Well our Superhero bouncy does a great job with its impressive artwork. The Hulk, Batman, Spiderman and Superman all feature on this unit. High wall and sewn in rain cover, for those rainy days. This inflatable is suitable for children up to the age of 14. Most of the characters are American animated films. 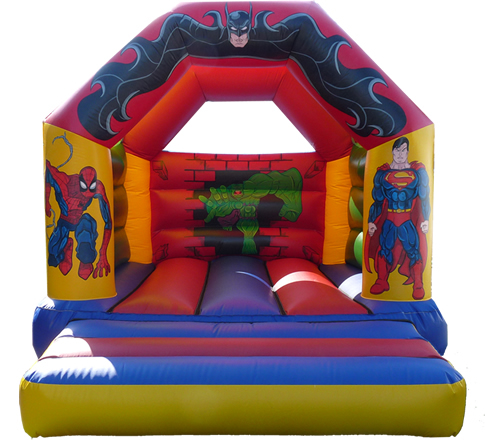 The Bouncy Castle is 12FT X 14FT although ensue you have at least 14FT X 16FT to accommodate the unit safely .